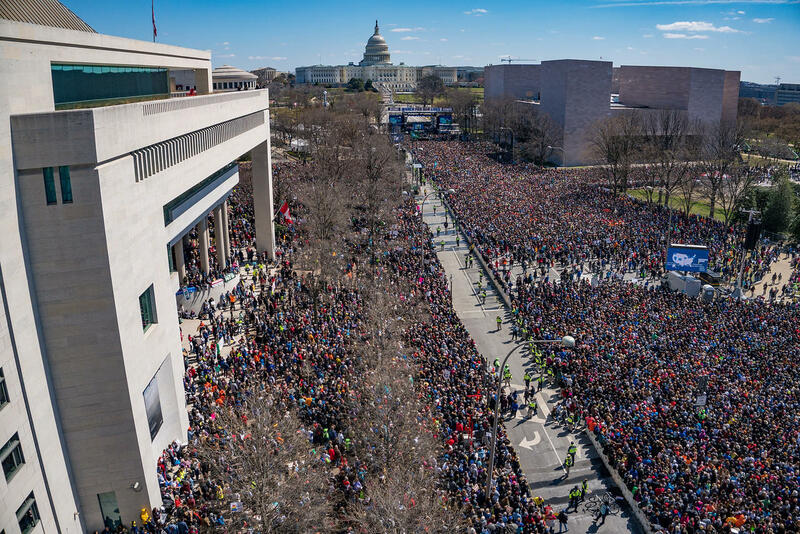 The march was organized by survivors of the Parkland shooting. Emma González, one of the leading voices of the movement since the Parkland massacre, held a moment of silence at the podium Saturday. "Since the time that I came out here, it has been 6 minutes and 20 seconds, the shooter has ceased shooting and will soon abandon his rifle and blend in with the students so he can walk free for an hour before arrest," González said. "Fight for your lives before it is someone else's job." Other student speakers from Parkland included David Hogg, Delaney Turr, Alex Wind and Cameron Kasky. Martin Luther King's 9-year-old granddaughter Yolanda Renee King also spoke. "My grandfather had a dream that his four little children would not be judged by the color of their skin, but by the content of their character," she said, referencing her grandfather's famous speech. "I have a dream that enough is enough. That this should be a gun-free world. Period."